The Academy passionately educates and inspires children in His Glory. Our goal is to help all students achieve their best by creating an environment of both spiritual and academic excellence, accepting children for who they are. We teach in the way they need to learn. This allows them to identify and utilize their unique talents, overcome their limitations, and celebrate their strengths daily. The education that students acquire is key to determining the future of these students. It is our belief that everyone (students, staff and parents) can learn from one another. Throughout your child’s life, regardless of their age, he or she has critical needs that will help them develop into an emotionally healthy person. We will do our best to see that every day he or she feels respected, feels secure, feels accepted and feels included by someone here. In every way possible, we will find ways to let them know how special and important they are to God and to us. 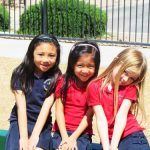 Good Samaritan Christian Academy admits students of any race, color, national and ethnic origin to all the rights, privileges, programs, and activities generally accorded or made available to students at the school. It does not discriminate on the basis of race, color, national and ethnic origin in administration of its educational policies, admissions policies, and other school-administered programs.